In terms of prescription drugs, the numbers are staggering. According to the federal Centers for Disease Control and Prevention (CDC), US health expenditures in 2015 totaled 17.8 percent of gross domestic product (GDP) or $3.2 trillion. Prescription drugs alone were 10.1 percent of this amount, or $324.6 billion—about $1,000 for every man, woman, and child. By contrast, in 1980, prescription drugs cost $12.5 billion ($30.9 billion, adjusting for inflation). In other words, the inflation-adjusted cost of drugs has increased tenfold in 35 years. 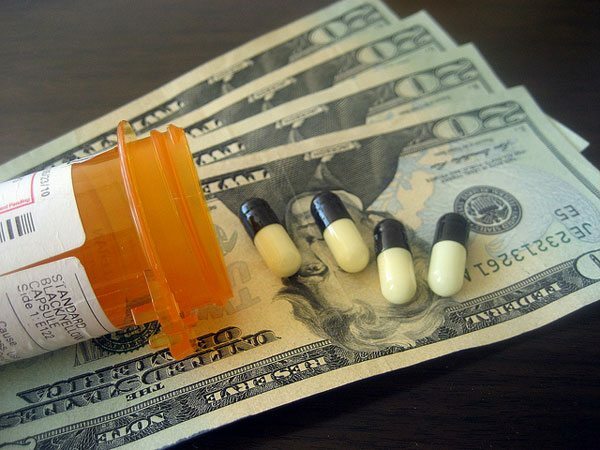 And it could get worse; the Centers for Medicare & Medicaid Services predicts that prescription drug costs between 2016 and 2025 will climb an average of 6.3 percent a year. The person spearheading this effort, dubbed “Project Rx,” is Dan Liljenquist of Intermountain Healthcare, a healthcare network in Utah. Intermountain aims to launch Project Rx next year in consortium with Michigan-based Trinity Health, and two St. Louis-based health providers—SSM Health and Ascension—supported by philanthropists and the US Department of Veterans Affairs. Possibly the most famous case involved the anti-parasite drug Daraprim, which has a market of only about 6,000 patients in the United States, according to the report. In 2015, the pharmaceutical company Turing bought the rights for the drug, then promptly raised the price by more than 5,000 percent—from $13.50 a pill to $750. Another example in the report is a drug called Syprine. It has been used since the 1960s to treat Wilson’s disease, a rare condition that causes copper to accumulate in the organs. After the company Valeant acquired rights to make the drug in 2010, it raised the monthly price from $652 to nearly $21,300. According to Bai, Project Rx will work with manufacturers to provide hospitals generic injectable drugs that are currently in short supply and high priced. Observers have long noted the problem of the revolving door between federal agencies and the nation’s largest corporations. Now, we see the same dynamic recreate itself in the nonprofit sector, threatening the public’s confidence in our sector’s stewardship.